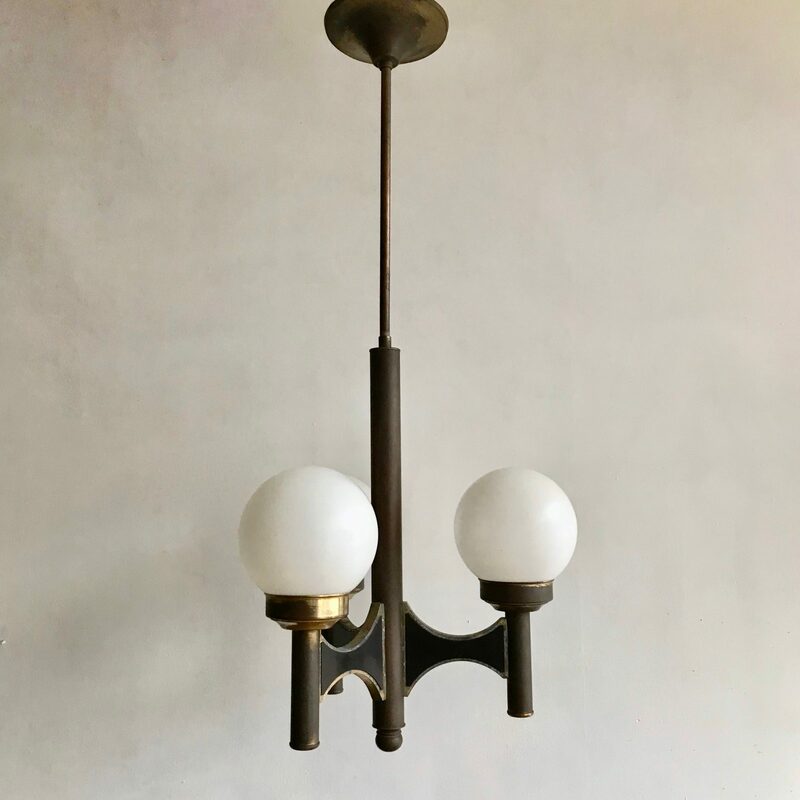 Mid Century globe shade chandelier with three matt opaque glass globe shades. The pendant has a lovely darken pitted brass finish which has developed naturally over time. Shaped black acrylic panels also add detail to the frame. The chandelier requires three B15 bulbs. The chandelier comes with a ceiling rose, chain and braided flex. This chandelier is very similar is style to #1233.